Volkswagen arrived officially in the Dominion of Canada in 1952. It was a calculated gamble but VW execs noted that Canadian consumers liked small cars and bought a lot of them. The West German automaker decided to set up shop in modest Toronto headquarters. Canada was the company’s first overseas subsidiary. Typical of Volkswagen’s thoroughness, the company brought in $30,000 worth of parts before ordering a single car. The first display car was actually borrowed from a private owner in the United States. The quirky air-cooled car with the funny shape was immediately popular with the public despite its dubious past and not-so-secret connection to Nazi Germany. 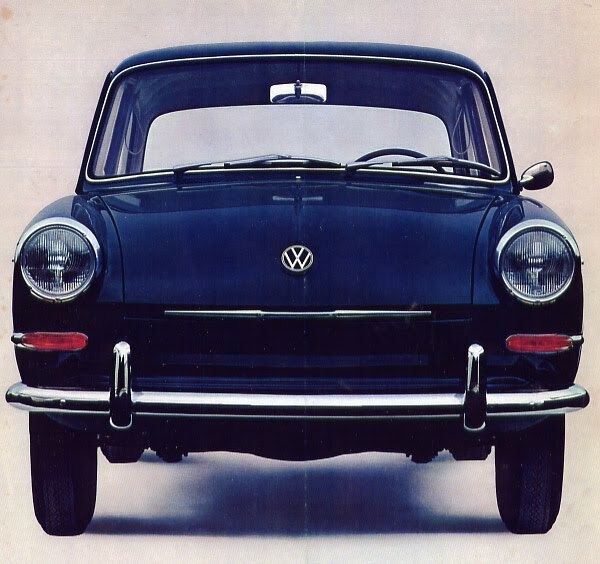 By 1960, Volkswagen was the third best selling car in Canada. With 31,146 units delivered, VW was bested only by Pontiac and Chevrolet. 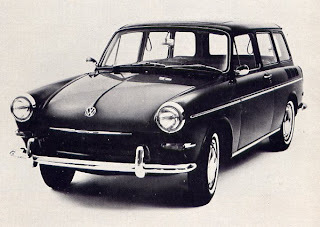 Sales were off significantly in 1962 because Parliament implemented higher tariffs on imports as a way of protecting the domestic auto industry. This new ruling did not affect GM or Ford because they were able to import cars from their European subsidiaries without penalty under their multinational umbrella. Other independent European automakers such as Austin and VW were hit hard. Studebaker stepped in to offer Volkswagen a helping hand. The Hamilton, Ontario automaker already augmented its domestic line of cars and trucks with the luxurious Mercedes-Benz cars--and at the other end of the scale--the tiny, economical DKW, both of West German origin. Executives in Hamilton were familiar with the rules for importation of cars from West Germany. The arrangement was simple. Studebaker would bring in Volkswagen vehicles as a captive import, thus avoiding the taxes and duties. Studebaker netted $135 per unit when the cars were resold to Volkswagen Canada Limited but the fee amounted to a pittance compared to the increase that VW would have paid had it not enjoyed a domestic partnership. Volkswagen Canada wasn’t shy to take out advertisements to announce that the company had held the price line. The venerable Beetle had stood alone for many years. It was joined by a modern, up-to-date stable mate in 1961. The new 1500 was designed by a team of 2,000 engineers, under the direction of Heinz Nordhoff, head of VW in Wolfsburg. Once the bugs (yes, the pun is intended) were worked out of it, the 1500 Sedan and Station Wagon arrived in Canada for the 1962 season. Squarish, with softly rounded corners, this pair certainly didn’t look like anything else that carried the VW name and advertising was quick to make the point. The pancake format TS engine was touted. “Fasten your seat belts!” advertising shouted. “This new Volkswagen will move from a standing start to fifty miles per hour in twelve seconds. (It’s no wonder we call it a family sports car.) Our TS model has 25 percent more power.” It did indeed. 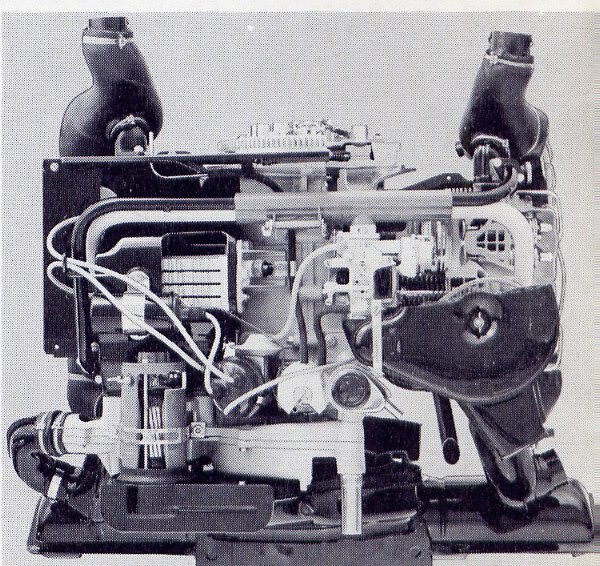 The twin carburetor tweaked horsepower to 66 @ 4800 RPM. The TS was capable of whizzing passengers along at speeds of up to 90 miles an hour. The editors of Canada Track & Traffic gave the TS full marks for “its engineering superiority, quality of construction, aesthetics, total comfort, safety and performance.” They then bestowed the coveted Golden Wheel Award on the car. A base VW Beetle could be had for $1,695 in 1962. The 1500 Sedan listed for $2,495. The optional sunroof was heavily promoted and it added $125 to the tab. The 1500 Station Wagon carried a $2,695 price tag. Model 351— the 1500 Convertible—listed for $2,495 but the ragtop was withdrawn from the market and ultimately never produced. In 1963 Volkswagen was the fifth best selling car in the country, with 27, 559 units delivered. It was sandwiched in between two other popular small cars. Valiant, held the Number Four spot and Rambler took the sixth position. In 1964 Rambler passed Volkswagen—in proverbial second gear no doubt—to take fifth position. That gave VW the sixth spot with 31,075 units delivered. While the 1500 Sedan and Station Wagon were well accepted by consumers, they never sold in the numbers that the Beetle did.